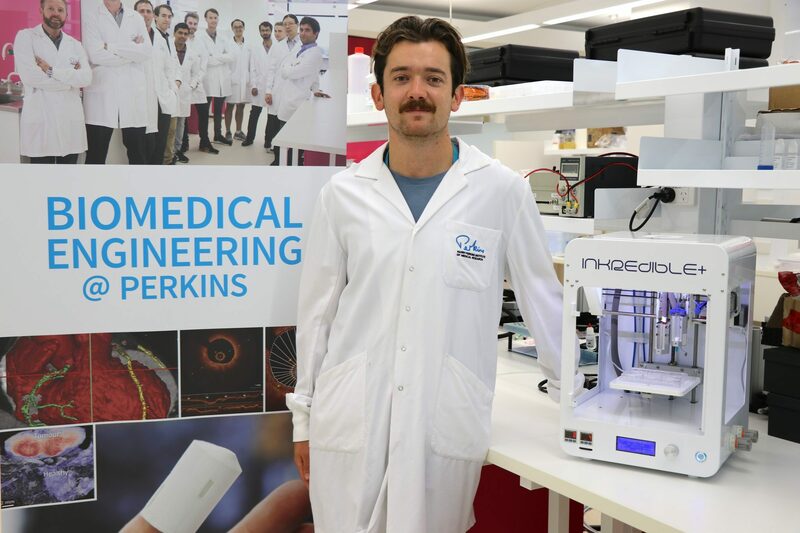 Who/What: Nicholas Law and his team Him and his team focused largely on characterizing certain hydrogels for use in 3D Bioprinting as well as the applications (printing complex structures – tracheas and aortic heart valves). Where: Harry Perkins Institute of Medical Research at University of Western Australia as a part of Vascular Engineering Lab. Background: Nicholas Law recently co-authored two papers which extensively characterize certain hydrogels in terms of their mechanical, rheological and cell viability properties. For the cell viability testing, his team used the CELLINK INKREDIBLE +. Check out his first paper and stay tuned for more pictures and videos! Hydrogels containing hyaluronic acid (HA) and methylcellulose (MC) have shown promising results for three dimensional (3D) bioprinting applications. However, several parameters influence the applicability bioprinting and there is scarce data in the literature characterising HAMC. We assessed eight concentrations of HAMC for printability, swelling and stability over time, rheological and structural behaviour, and viability of mesenchymal stem cells. We show that HAMC blends behave as viscous solutions at 4 °C and have faster gelation times at higher temperatures, typically gelling upon reaching 37 °C. We found the storage, loss and compressive moduli to be dependent on HAMC concentration and incubation time at 37 °C, and show the compressive modulus to be strain-rate dependent. Swelling and stability was influenced by time, more so than pH environment. We demonstrated that mesenchymal stem cell viability was above 75% in bioprinted structures and cells remain viable for at least one week after 3D bioprinting. The mechanical properties of HAMC are highly tuneable and we show that higher concentrations of HAMC are particularly suited to cell-encapsulated 3D bioprinting applications that require scaffold structure and delivery of cells.